In the madcap world of VA claims, character assault is a common technique employed by our adversaries in the 56 Fort Fumbles across the fruited plains and oceans. In VAland, when you say something different in 2016 than what you said on the same subject in 1968, it creates a bow wave of doubt that you can’t remember anything clearly. Once you allow VA to let this camel’s nose in under the tent, the game is up. Anything you say is presumed incredible. They don’t call you a liar. They don’t have to. The following BVA decision I use to illustrate this is a BVA jetgun win for Johnny Vet out of our Heavenly RO located in St. Petersburg . Authored by Vet’s Law Judge “SS” Toth, most Vets would mentally be expecting Waffen SS treatment and a strict taskmaster. Boy howdy would you guys be off the paper. Judge Toth is mindful of what real justice is, not what VAROs have corrupted it into. 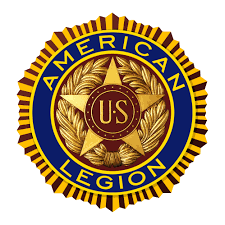 A warm thank you to our sister American Legion VSO reps out in Florida for whatever moral support they provided. It’s not impossible they didn’t have a sharp rep. there who knew what he was doing. But look at the fingerprints. Johnny Vet didn’t win with the Caluza Triangle, the famous Shedden requirements, the Hickson “elements”. No. He won because the VA could not find a chink in his credibility to drive in a piton of doubt. In adjudicating a claim, the Board is charged with the duty to assess the credibility and weight given to evidence. See Madden v. Gober, 125 F.3d 1477, 1481 (Fed. Cir. 1997). I’m going to add color so you can keep track of formers and latters. Competency of evidence differs from weight and credibility. The former is a legal concept determining whether testimony may be heard and considered by the trier of fact, while the latter is a factual determination going to the probative value of the evidence to be made after the evidence has been admitted. See Rucker v. Brown, 10 Vet. App. 67, 74 (1997). The Board notes that the April 2010 and January 2016 VA examiners did not identify non-service related risk factors for the development of hepatitis C. Additionally, the Veteran has provided competent and credible testimony of receiving “jet air gun” immunizations in service that are recognized by VA as a “biologically plausible” means of transmitting hepatitis C. The 2010 examiner also noted that with regard to the most commonly identified risk factors, only one applied to the Veteran, assuming that the injector may have been bloody. Accordingly, while the examiner indicated that an opinion could not be provided without resorting to speculation, the examiner’s explanation for the opinion appears to indicate that it is at least as likely as not that hepatitis C is related to the one commonly known risk factor the Veteran experienced. The Board finds no reason to doubt the Veteran’s statements as to having been exposed to blood during the injection. Having found the Veteran’s testimony credible, including as to the “jet air gun” immunizations in service, and after reviewing the medical opinions, the Board finds that the evidence of record is in relative equipoise as to whether the Veteran’s hepatitis C was related to his active service. Competency of evidence is what can be considered in a claim. Just like Judge Judy, hearsay is not permitted although it sometimes seems to seep in. Phil Cushman got bushwhacked on that one when some enterprising VA jokester/examiner started penciling in addendums to his C&P afterwards. VA is often caught dragging in red herrings to a Hepatitis C claim. Drugs are first and foremost the major downfall. Johnny Vet smoked pot and had an Axis 3 ETOH issue wider than the Mississippi River. Johnny Vet got Hep C. Denied. Next. We had Robert from LA. His VistA medrecs. actually show the penciled in “Yeah, and he admitted to snorting coke a lot.” I’m sorry. That’s why we have computers so you can’t go in the back door (Like VACOLS) and rearrange the furniture to better stage the crime scene. Robert won on a Cushman violation and got his 100%. Robert most assuredly did not snort coke, either. 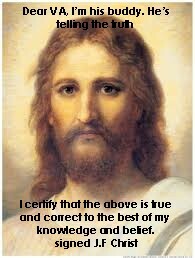 He is deeply religious and always has been. And a warm thank you for not giving up, Phil. You left a magnificent due process argument for eternity for all of us. Assuming the competent evidence is entered and nothing can be found to use as a smoking gun for the denial, phase two begins at the Regional Office- It would be pure speculation as to what it could be. Fortunately for us, Mr. Benito C. Layno, much like Phil Cushman, blazed a trail ahead of us for all who followed in his footsteps. We are now allowed to testify with credibility as to what comes to us via our five senses. Thus, Johnny Vet from sunny southern Florida is competent (read credible) to opine as to what he (and a gazillion or two others of us) saw on the end of a jetgun being used to administer shots to him. Anything that comes to you via your five senses are viable statements admissible in this game. The only test is to pass the credibility hurdle. In instances like this, VA breaks out the Pinkerton Detective Agency and hires extra bloodhounds. Johnny Vet’s journey post-military is examined. A $39.95 Criminal background check would turn up that two years at Texas’ Greybar Hotel for the misunderstanding at the gas station deli late one night in 76. Bingo. HCV due to incarceration. Denied. But what is the RO to do? Our Johnny Vet from St. Pete’s is squeaky clean and has given a Layno-approved answer. VA has merely stuttered saying it would be speculation to opine. Bingo. Resolving reasonable doubt in the Veteran’s favor, entitlement to service connection for hepatitis C is warranted. 38 U.S.C.A. §§ 1110, 5107 (West 2014); 38 C.F.R. §§ 3.102, 3.303 (2015). Credibility is a Veteran’s best friend. It’s right up there with the Presumption of Soundness. It’s the essence of 38 USC 1154 in many cases that gets you a win. Johnny would never have gotten a win out of any RO based solely on jetguns. They don’t have the authority to grant the claim. Not one jetgun claim to my knowledge has ever been won at the AOJ- including WGM’s in Texas. Face it, even if you have three IMOs categorically stating it was jetguns and they won’t grant, you can figure having another one from Jesus wouldn’t even pass muster. One thing Vets will note is the brevity of this decision. The whole thing fits on one VA SF8.5×11(w). Amazing. One thing I am beginning to see at the Board of Veterans Appeals that is very refreshing is the gradual disappearance of some of the Hang ‘Em High judges. In their place, I’m beginning to see a new breed of lawgiver with a far more fair and balanced approach than what I’ve been accustomed to. There still is the occasional wild hare like Mark Hindin who acts as though he’s never met an above-board Vet- and convinced he never will. I could name a few more but the good news far outweighs the bad. And besides, I might have to present a claim to one of them in the future. That’s all I’m gonna say about that. 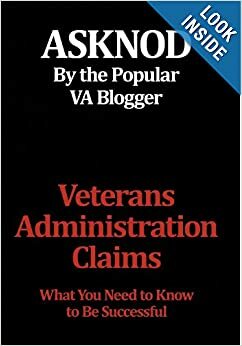 This entry was posted in BvA HCV decisions, HCV Risks (documented), Jetgun BvA Decisions, KP Veterans, Nexus Information, Veterans Law and tagged ASKNOD BOOK, asknod.org, asknod@wordpress.com, Disabled Veteran, DIY vA Claims, Gulf War Vets Help, HCV, HCV Decisions, HCV Veterans, HCVETS, Help with vA Claims, Help with vA HCV Claims., Helping Veterans, Korean War Vets Help, Service Connection, VA claims, VA HCV Claims Help, VA NEXUS LETTERS, Veterans claims help, Vietnam Veterans Claims Help.. Bookmark the permalink. This vet could not think of any other risk factors, in-service or out. And that’s fine. A YES or NO simple case. But other vets may be able to think of, say, ten in-service risk factors they experienced and none post-service. Would those vets be punished for listing all ten risk factors resulting in their claim would be thrown into the ‘speculation’ pile. Ten YES’ = only ten competing speculations? Don’t have time for this one. Blah…goodbye…NEXT! And some factors are higher on the probability list than others. The fact is that a massive hcv outbreak in the pre-1991 military populations has occurred; Thousands are dead/dying and America is clueless. This issue will continue to fester until Congress orders and releases scientific studies examining all risk factors statistically. I can think of at least 50 ways hcv moved person-to-person in service and I’m sure vets, especially combat vets, can think of many more. So why can’t we can look back and learn, see what’s true and not true, see what’s current, and work to protect others in the future by getting the info. out. We still have no vaccines. Newborn babies are still not getting tested. And so forth. 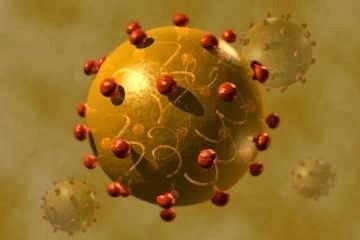 The HCV threat is so not over. I just got my decision in July right after I got a Liver transplant on June 15. Now, i need to wait on the RO to figure the percentage and then I can file on the cancer and transplant.